Low-profile 90 degree self-dumping steel hoppers compact design is essential for convenient loading. 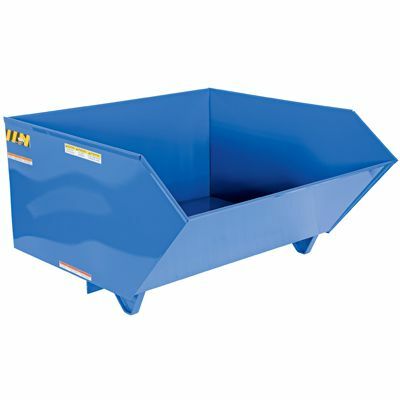 Steel hopper with 2,000-lb load capacity and 1 cu.yd. volume.